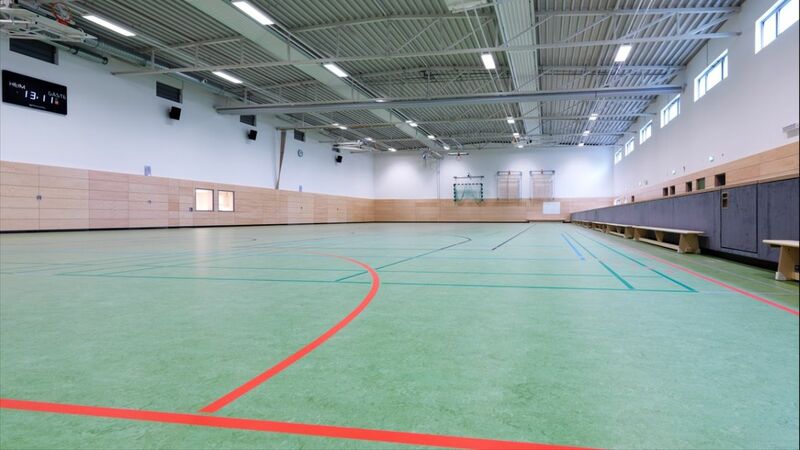 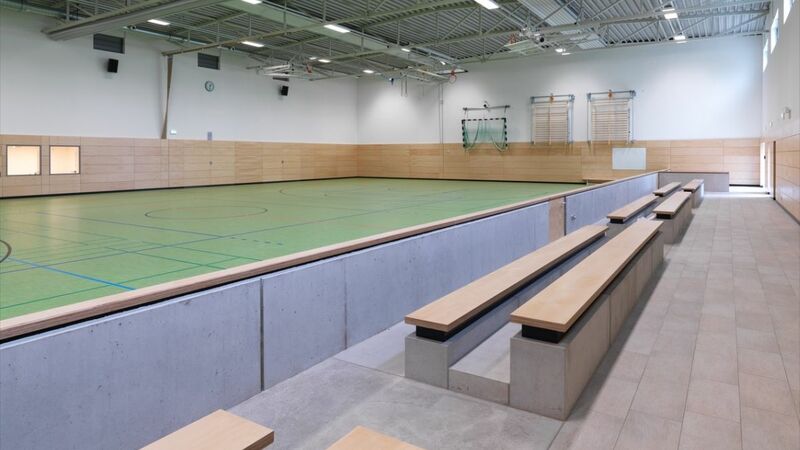 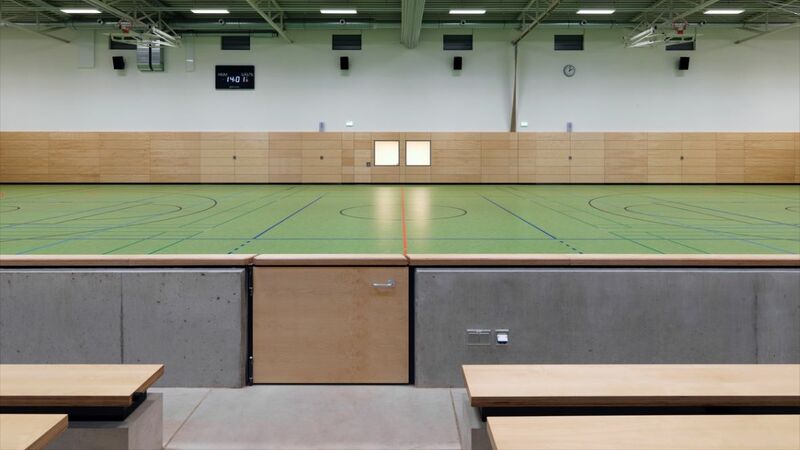 This sports hall is finished in August 2016. 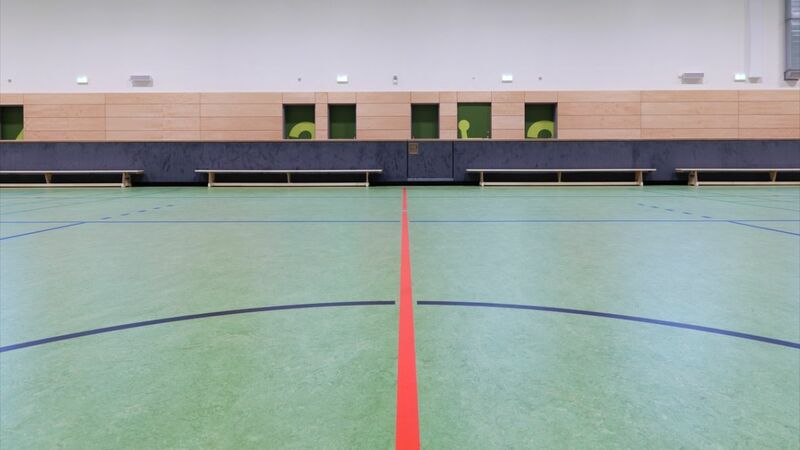 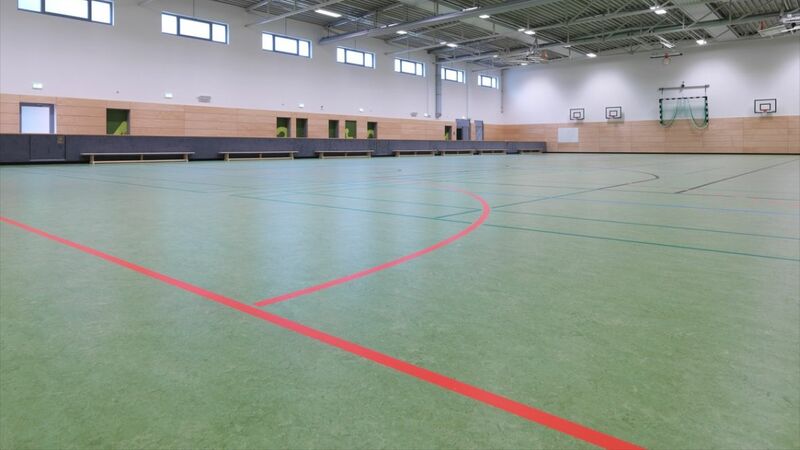 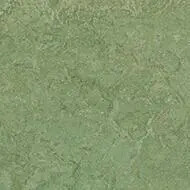 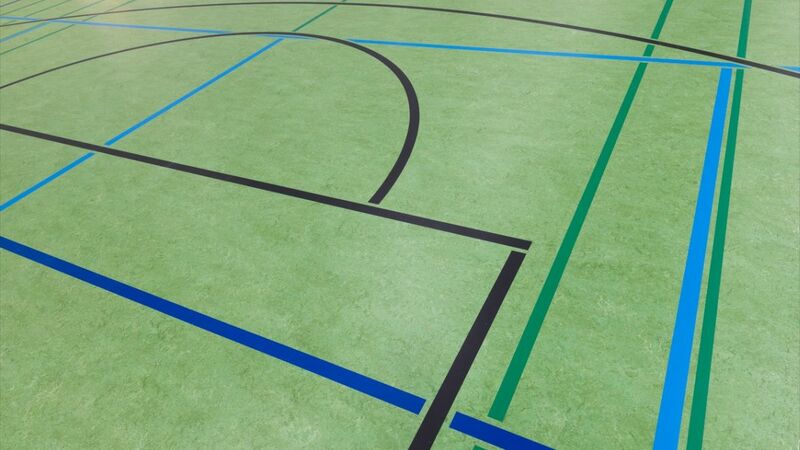 Over 1100 qm Marmoleum Sport are laid. 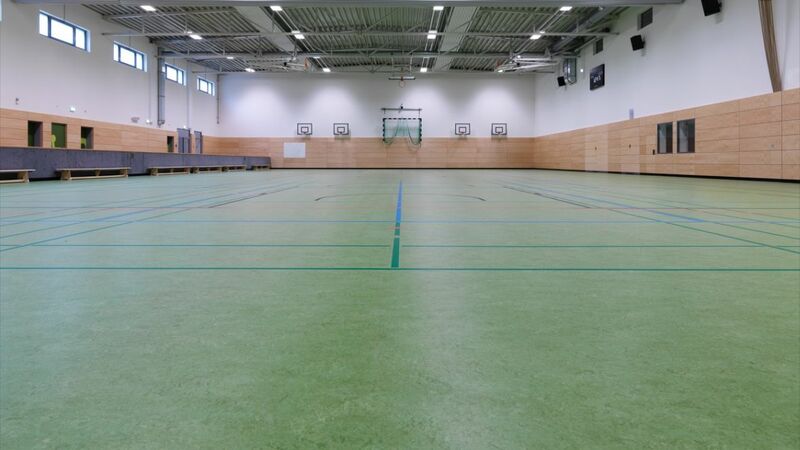 The hall of the grammar school got a new double hall.